Club Penguin Cheats by Mimo777 Club Penguin Cheats by Mimo777: 2010 Mimo Party Clue number2! Need hints: Follow me on Twitter. I know i know! 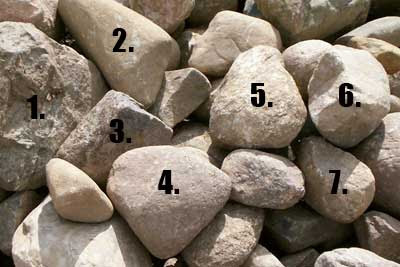 Its the forest because there are 7 rocks! I dont understand the numbers! Please give us a hint about the numbers on your twitter! ...I don't get it! By the way, this party is a blast, as told by the people here! this is confusing.... i need some soda to pump my brain. hmmm...a room with rocks maybe? well that narrows it down I guess. ohh! I get it! the only room with 7 rocks! brb I'm going on CP! Ummmmmmm... something to do with rocks and the number 7 ummmmmm... if anyone figures it out give the rest of us a clue. U rock mimo! mimo, i didnt get the first one... but i get the clue u just gave out.. i'll ho on twitter like soon..
Mimo this is clue 3!! I know i know! Its the cove because there are 7 rocks! Mikey322 said... This is clue 3! i think i know it! or do i?!? oooh. Well its technically clue 2 and a half! ok ok ok....number rocks, rock numbers...i think is out of the cove,beach or the froest,coz theres rocks...il keep thinking on this one. cool I think it's the forest. the only one with 7.... there are a few with 7... hint plese! LOL... rocks. Dont u mean clue 3? Hmm I dont think it is the mine. The picture was numbered seven rocks! Then again I might be wrong. Just keep trying to get it! i know this is totaly off topic but i think card jitsu water is coming soon because have you ever noticed the water fall near the volcano! i could be rong tho. 2.crystal, number 7 down, 7 letters? am i right? remember mimo can always trick us. It can be the same maybe not. your maybe on to something great idea! But if it would be conect the dot wouldn't it be a bit more seperated? get it! (mancala) because it is the only room that has it! I think it is the beach. lol, I think that we all kinda know what it is, but since it's sooo easy, we second guess ourselves! idk. Mimo! This is clue number 3!! Actually, The first two clue were the same clue. There were two because most couldn't get the first one.